One of our key goals for the Field & Fork Program is collaboration. In order to understand the food system, we need a broad diversity of perspectives and disciplines. As such, we strive to work with departments and units across campus, as well as a variety of industry and community organizations. 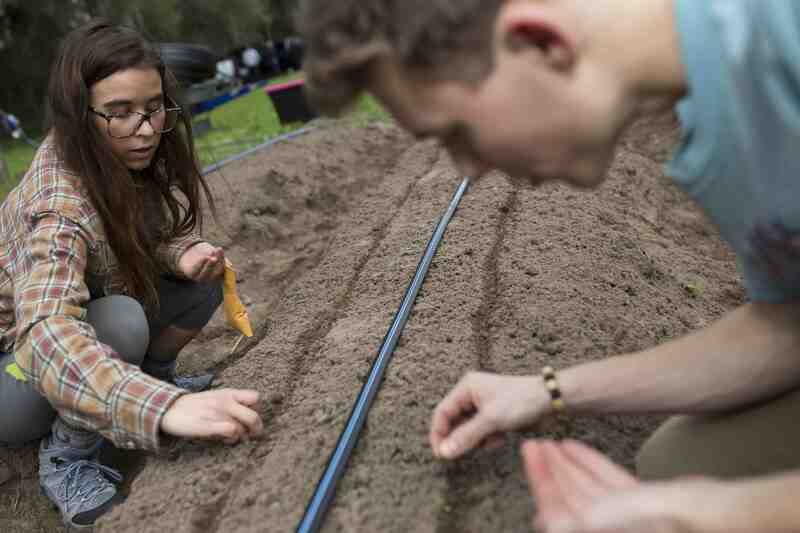 UF Agroecology Program – The Agroecology Program works with the Field & Fork Program to develop an undergraduate certificate that focuses on experiential learning. In addition, Dr. Diane Rowland, director for the Agroecology Program, provided guidance and resources to establish our Program. UF Dean of Students Office CARE Area – The CARE Area (UMatterWeCare), part of the UF Dean of Students Office, oversees the Alan and Cathy Hitchcock Pantry. In conjunction with this team, our program is able to provide food to those in our campus community who are in need. The partnership also allows us to create a food chain that provides hands-on experience for students in many aspects of our food system such as production, food safety, post-harvest quality and marketing. 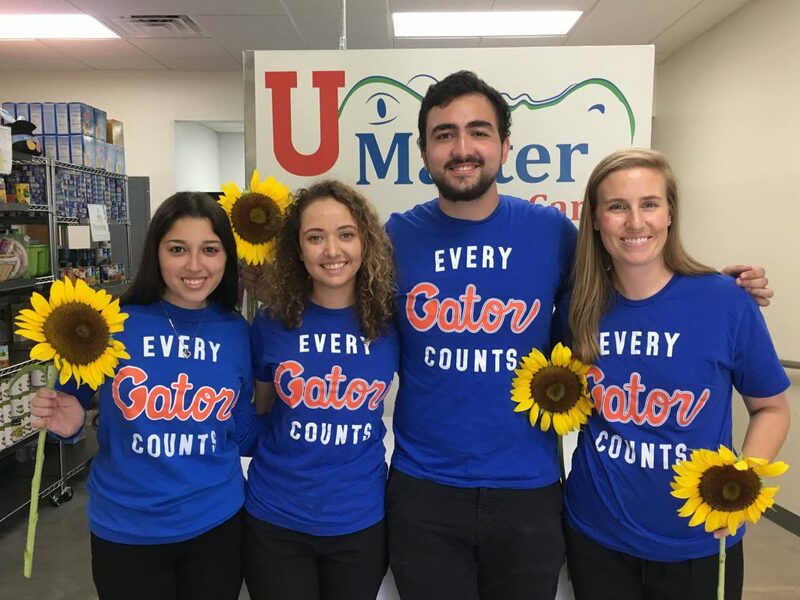 UF/IFAS Extension Master Gardener Program – The Master Gardener Program provides guidance and resources for the development and management of garden demonstrations at the Student Gardens. In addition, the Alachua County Master Gardeners provide hands-on support to train our interns and keep our gardens looking great. Florida Museum of Natural History (FLMNH) – The Florida Museum of Natural History provides us with plant material and expertise for our Native and Pollinator Garden display. UF College of the Arts – We support MFA student project development and provide space for exhibition. Currently, a ceramics installation by MFA graduate, Bridget Fairbanks, can be found at the Student Gardens. UF College of Design, Construction and Planning (DCP) – The College of Design, Construction and Planning teaches several classes as well as a design/build studio in conjunction with our Program. As a result, students have been actively involved in the planning, design and construction of the gardens and infrastructure for our Program. One example of this collaboration is the outdoor classroom at the Student Gardens. UF Human Resources Wellness Program – The Field & Fork Program provides webinars, workshops and presentations for the HR Wellness program. This collaboration has assisted with sharing Field & Fork Program goals with national audiences in this field. 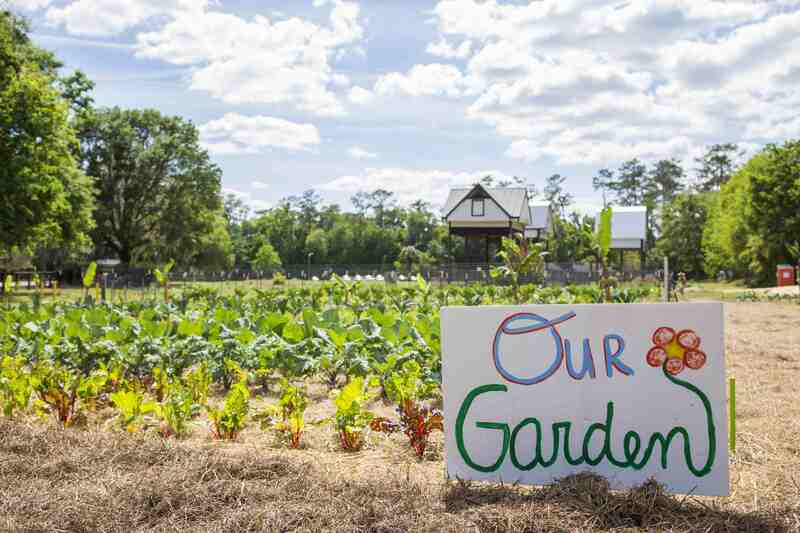 UF/IFAS Extension Small Farms and Alternative Enterprises – The Field & Fork supports the Florida Agricultural Network, among other efforts, to provide demonstrations and outreach for small farms and alternative enterprises. Working Food – The Field & Fork Program provides support for the development of a community food center in Gainesville. 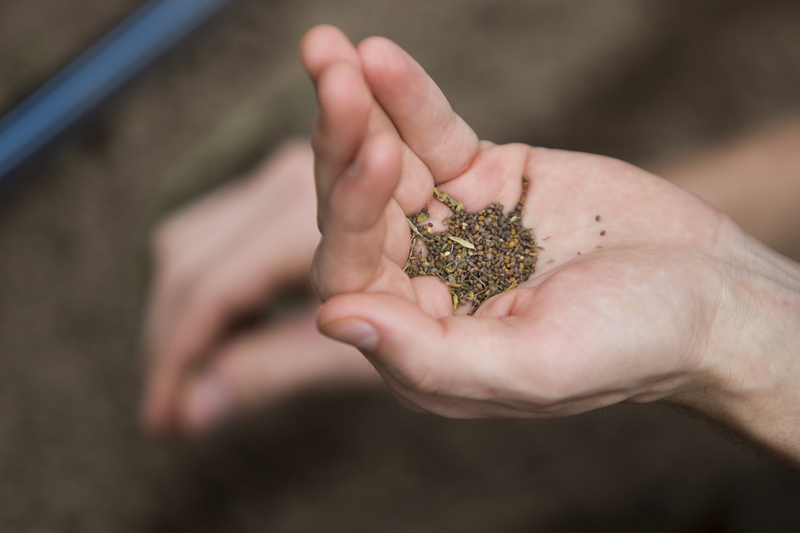 The Field & Fork Program has provided assistance to Working Food’s parent organization, Forage, for seed saving efforts, including variety trials at the Farm and Gardens. Alachua County Farm to School (F2S) – The Field & Fork Program explores ways for interns to assist with the F2S program. The Field & Fork Program also provides guidance, support and resources to F2S as needed. Family Garden – The Family Garden provides us with ideas, advice and seedlings for our production. We connect our students to Family Garden operations through volunteer opportunities and internships. Siembra Farm – Siembra provides us with ideas, advice and seedlings for our production. We connect our students to Siembra operations through volunteer opportunities and internships. Frog Song Organics – Frog Song has provided opportunities for their members to provide donations of produce from their farm to the on campus Alan and Cathy Hitchcock Pantry, part of the Field & Fork Program. This produce supplements the food coming from our fields here at UF.